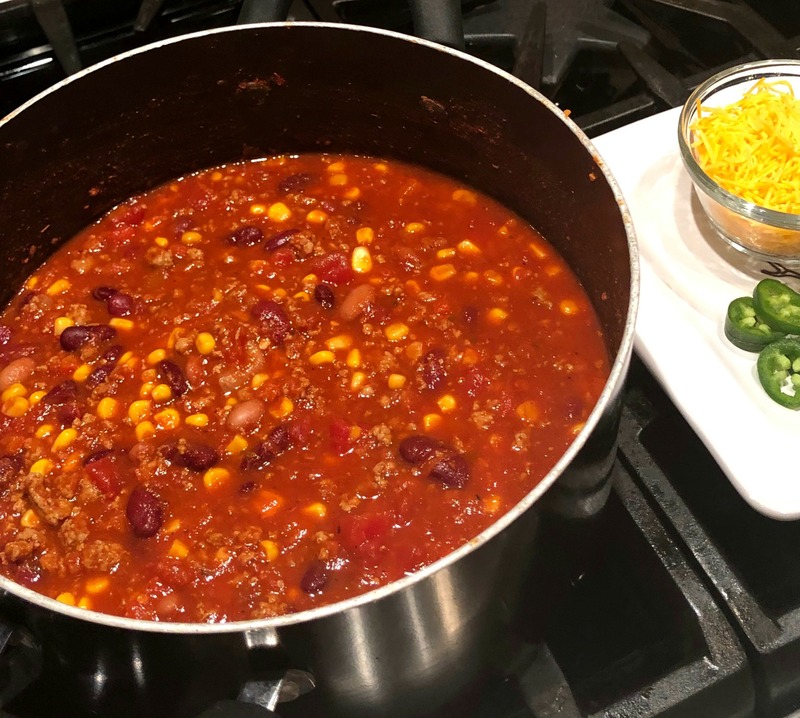 This healthy, hearty chili is packed with tasty spices, beans, ground turkey, onions, tomatoes, and corn! Last week, my mom’s neighbor and friend Christi, text my mom about a dinner she had made. She included several pics and even the video snippet (shared on Facebook)! 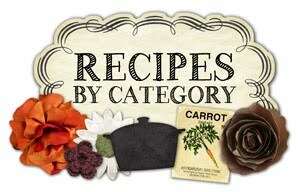 Since I love sharing new recipes, I took one look at the recipe my mom had forwarded and knew I had to post it quickly! 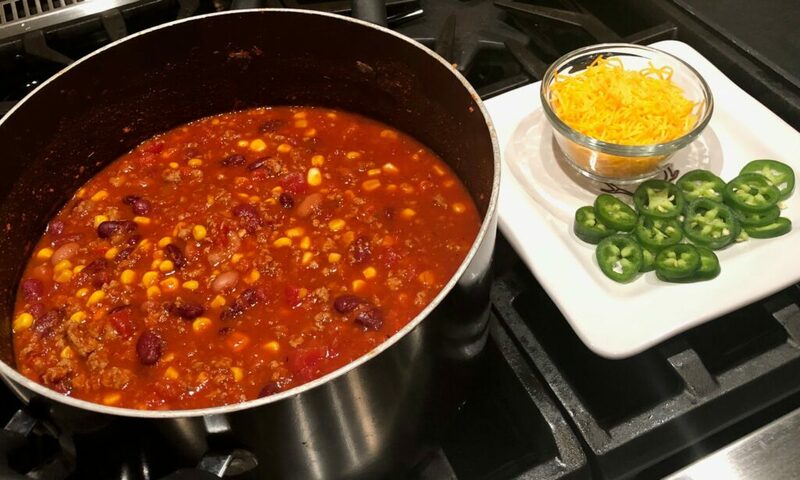 This healthy chili is perfect for the new year when everyone is trying to eat a bit healthier to reach their resolutions! Whether trying to eat cleaner, or lose weight, this is a great choice! As I glanced over the recipe, I noticed it was packed with veggies, ground turkey, and seasonings which would make this a flavorful dinner choice! If you aren’t a huge fan of ground turkey, you can use ground chicken or even beef….although not as healthy of a choice. I personally have not tried this, but I have already added it to my meal plan to make this week! 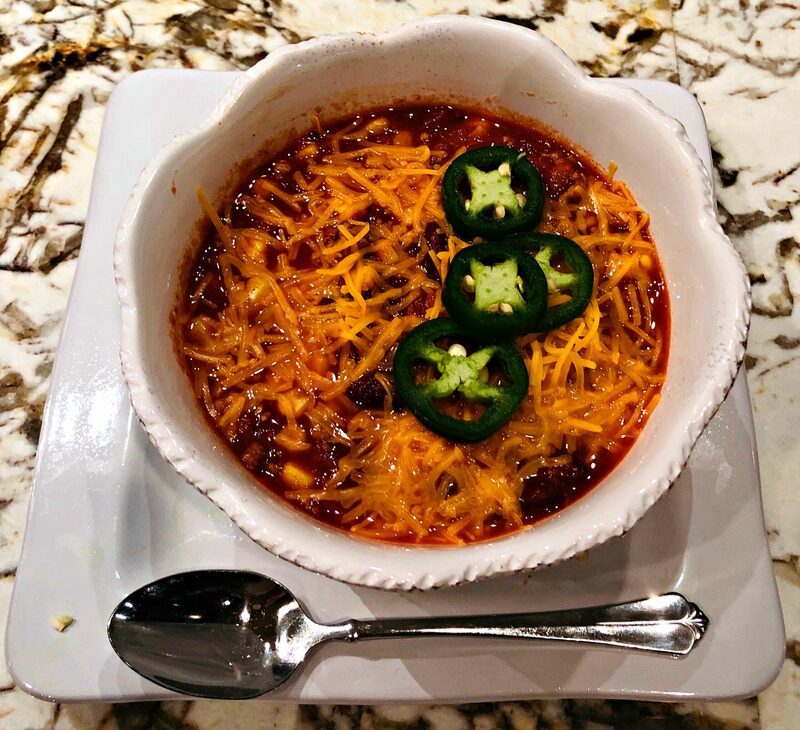 There is nothing better than a good chili recipe served with some cornbread, right?! 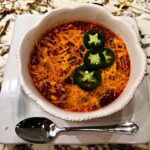 With it being Football season (almost Super Bowl), this would be a great dish to serve on a Sunday with family/friends! The leftovers freeze great, but of course….I don’t think you’ll have any once everyone tries this! 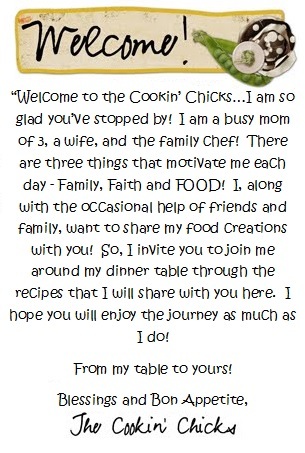 Thanks Christi for the recipe, I can’t wait to try it! Place oil into large pot and heat over medium high heat. Add in the onions, garlic, and red pepper. Saute for about 5 minutes. Add in the turkey, cooking until no longer pink. Add in the chili powder, cumin, oregano, cayenne pepper, and salt. Next, add in the tomatoes, Rotel, chicken broth, kidney beans, and corn. Bring mixture to a boil, then reduce heat to low and simmer for about 30-40 minutes, or until mixture thickens a bit. Serve in bowls with desired toppings!